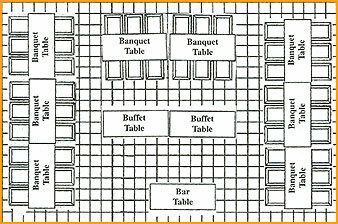 A 20' x 20' Elite (traditional style) Canopy or, a 20' x 20' Capri (modern sculptured style) Canopy, 5 Banquet Tables for guest seating, 30 Brown Folding Chairs, Banquet Table for buffet style food service, Banquet Table for beverage service, 54 qt. Ice Chest, 7 Disposable Plastic Table Covers in your choice of colors, and a 30 gallon Trash Can with liner and lid. Party Package includes delivery and set up of all tables, chairs and the canopy style of your choice, followed by breakdown and pickup. Ask about our real linens in all sizes and colors, to make your event more elegant. 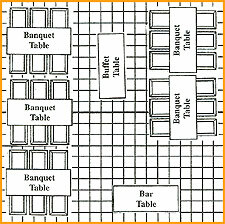 8 Banquet Tables for guest seating, 48 Brown Folding Chairs, 2 Banquet Tables for buffet style food service, Banquet Table for beverage service, 54 qt. Ice Chest, 11 Disposable Plastic Table Covers in your choice of colors, and two 30 gallon Trash Cans with liner and lid. Party Package includes delivery and set up of all tables, chairs and the canopy style of your choice, followed by breakdown and pickup. four Corner Pole Drapes, two Chandeliers with dimmer switch control, 10 Round Tables for guest seating, two Banquet Tables and White Table Skirting on front and both ends for the Head Table seating, 86 White Wood Style (Resin) Chairs with Padded Seats, a 12' x 12' Dance Floor, and four Banquet Tables, Beverage Bar and DJ use. 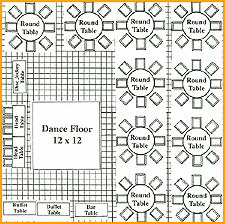 Reception Package includes delivery and set up of all tables, chairs, Elite Canopy, chandeliers and the dance floor, followed by breakdown and pickup. 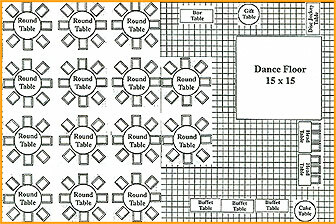 four Corner Pole Drapes, two Chandeliers with dimmer switch control, 14 Round Tables for guest seating, two Banquet Tables and White Table Skirting on front and both ends for the Head Table seating, 118 White Wood Style (Resin) Chairs with Padded Seats, a 15' x 15' Dance Floor, two 44" Round Tables for the Cake and Gift Tables, and five Banquet Tables, Beverage Bar and DJ use. Reception Package includes delivery and set up of all tables, chairs, Elite Canopy, chandeliers and the dance floor, followed by breakdown and pickup.